Sony’s smart contact lenses could record, play and store videos with the blink of an eye! 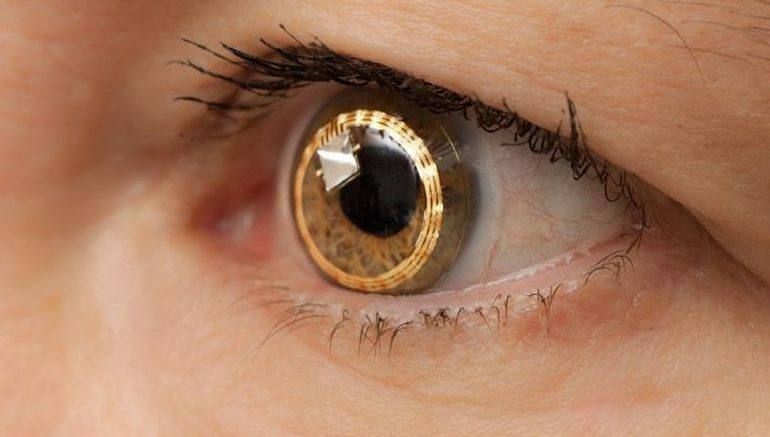 While Google and Samsung have already filed patents for high-tech contact lenses with built-in cameras, Sony isn’t too far behind, with its newly-conceived smart contact lenses that use specially-designed cameras to record, play as well as store videos before the wearer’s eyes. The Japanese multinational company has recently submitted a patent application for the invention. It is known that a time period of usual blinking is usually 0.2 seconds to 0.4 seconds, and therefore it can be said that, in the case where the time period of blinking exceeds 0.5 seconds, the blinking is conscious blinking. Sony’s smart contact lenses differ from Samsung’s, in that it features an advanced internal storage technology. Unlike the latter, which sends all recorded videos to an external storage device like a smartphone, the former allows the user to store footage in the lenses themselves, for easy and instant retrieval of recorded videos. In order to do that, the smart lenses, according to the company, will be equipped with miniature piezoelectric sensors that are capable of discerning changes in pressure, temperature, acceleration and force. The sensors will in turn convert these changes into an electric charge, which will then be used to turn the recording on in response to the wearer’s eye movements. Sony’s patent likewise describes a display showing additional controls that can be activated by a ’tilt sensor’. The lens may even feature aperture control, autofocus, and image stabilisation to address the blur caused by the eyeball’s motion. At present, the technology is still only a concept, and will probably take several years to be developed. 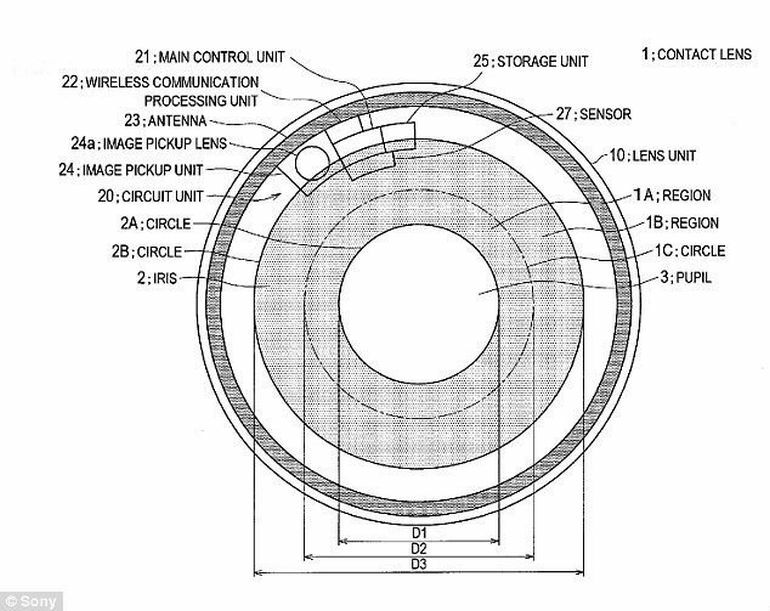 To read Sony’s patent application, head over to the U.S. Patent and Trademark Office’s website.